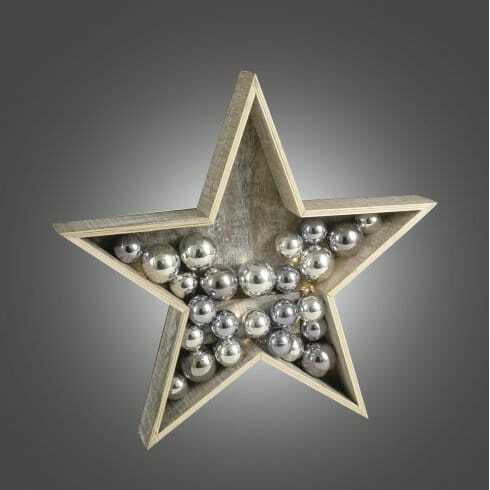 Dar Lighting wooden star with 8 integrated LED's which are nestled throughout the abundance of silver baubles that sit within the star shaped frame. The product code for this Dar Christmas star is 006X04001. Suitable for indoor use only. Battery operated and takes 2 x AA batteries which are not included.